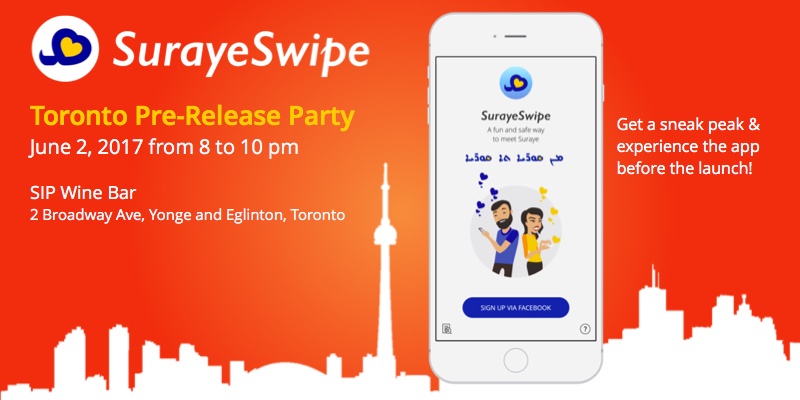 The second stop of our SurayeSwipe North American tour is Toronto! Wine will be served and fun will be had. Come join us Friday, June 2 from 8pm to 10pm at SIP Wine Bar! RSVP on our facebook event page here.